No two episodes of Documentary Now! are truly alike, but “Final Transmission” especially stands on its own in terms of style and process, the only Documentary Now! installment that was predominantly filmed in front of a live audience. To really understand the amount of detail and precision that went into getting this fake doc right, you should read our own Erik Adams’ account of how this Talking Heads parody was made. Test Pattern, the fictional band at the center of “Final Transmission,” had a real concert in San Gabriel, California. Directors Rhys Thomas and Alex Buono expected a modest turnout for the event, but when a thousand people showed up in 1980s garb, as instructed, the show had to go on despite their hesitations over whether or not this would all work. It worked. The pressure to move forward with the live show plan was ultimately a blessing, because a more traditional film shoot would have killed the authentic look and feel of “Final Transmission,” a very close reimagining of the Talking Heads concert film Stop Making Sense. The majority of the documentary consists of footage from this show, captured with the same rawness and simplicity that director Jonathan Demme brought to his approach in filming Stop Making Sense. There are very specific visual markers that connect “Final Transmission” to its iconic source material. But the camerawork in general—intimate without relying on hackneyed shots of screaming fans or close-ups that divorce the artists from their instruments—also evokes the overall look of Stop Making Sense. As I suspected, Documentary Now! is continuing to treat its in-universe directors as characters in and of themselves: Harrison Renzi, the fictional director credited for making “Parker Gail’s Location Is Everything” is the same man behind “Final Transmission,” a meticulous nod to the fact that both original documentaries were directed by Demme. And here, Renzi actually makes an appearance. Or rather, his voice does, featured off-camera. 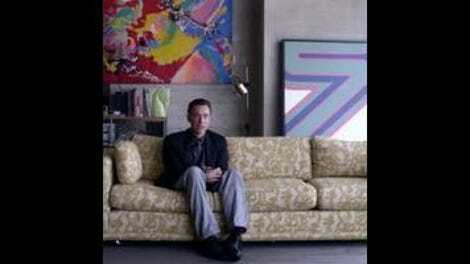 And none other than Paul Thomas Anderson, a Demme fan himself, played Renzi. Even when Documentary Now! is working from a simple premise, it always finds the hook, the story, and that’s where these interviews come into play. As fun as it is to watch Fred Armisen and Bill Hader bounce around on stage in character, a straight concert film parody wouldn’t quite be enough. So Documentary Now! borrows from another concert film, The Last Waltz, by including intermittent interviews with the band members. Fred Armisen plays Lee Smith, Test Pattern’s ambitious and pretentious frontman whose ego forms the bedrock of the underlying tension throughout “Final Transmission.” Bill Hader plays Mark, the band’s timid and bitter bassist who forever lives in Lee’s shadow. Lee and Mark met in art school, just like the founding members of Talking Heads. Jon Wurster plays their drummer, who “just answered an ad.” And Maya Rudolph completes the group, playing Anita, Mark’s ex-boyfriend and the wife of Lee, who married her as part of a project exposing the banality of marriage. 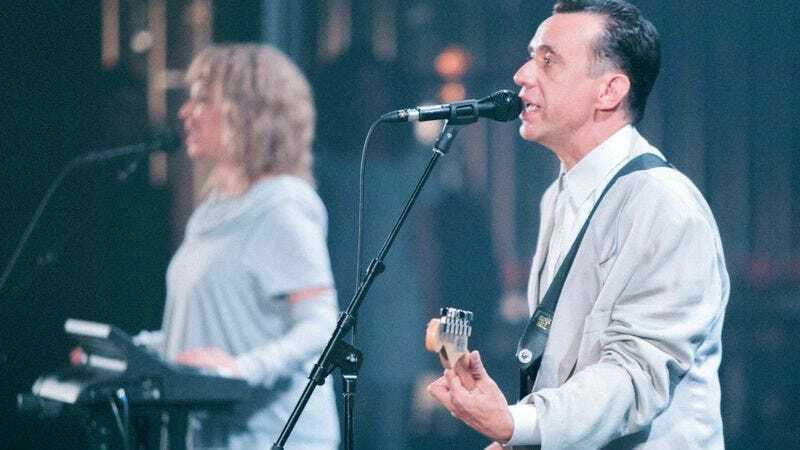 The college rock, post-punk world the Talking Heads occupied was such a specific time and place, a genre that doesn’t really exist anymore, and “Final Transmission” is nostalgic and reverent in its satire. There’s always a sense that every Documentary Now! episode is backed by a ton of knowledge, and that’s especially true for “Final Transmission,” which taps into Armisen’s long-time love of Talking Heads and deep musical knowledge. Test Pattern is every bit that strange and specific coalescence of avant-garde and punk that Talking Heads was. Even the interviews capture a specific time and place, imbuing this world with details that make it immersive and naturalistic. Lee talks to the camera from some Bushwick-looking loft every bit as pretentious and performative as his personality. Even though the more narrative and character-based aspects of “Final Transmission” provide a necessary backbone for the episode, making the world seem more lived in and rounding out the characters, the majority of the episode consists of the concert footage. And that’s a very good thing. For one, the authentic way the concert was filmed actually does more to build its world than those interviews. And on top of that, the deep musical knowledge that went into making “Final Transmission” is best reflected in its original songs. The songs are funny, to be sure. Even just the title “Art + Student = Poor” is funny. But as with most of this show’s humor, there’s more to it. Every song feels perfectly at home in this setting, like they could have really come from the Talking Heads catalog. These aren’t parody songs in the conventional sense. The episode features nine original songs that don’t just mimic ’80s new wave and experimental pop in broad strokes but rather incisively and comprehensively imitate the sounds, vocals, and storytelling of the Talking Heads’ music. Byrne’s obsession with world music is evoked in Lee’s obsession with gamelan. For a fake documentary, “Final Transmission” has a strong sense of real history and culture. A thousand people showing up to watch a concert thrown by a fake band speaks to how Documentary Now! bends reality, connecting with viewers in a very real way. If Test Pattern announces an actual tour, I’m there. I know I already linked to it at the top, but please read Erik Adams on the making of this episode, which provides a much more in-depth look at some of the context and music history for this episode as well as the overall philosophy behind Documentary Now! This is definitely one of those weeks where I strongly encourage anyone who hasn’t seen the original documentary to do so. I think it’s definitely possible to enjoy “Final Transmission” without doing so, but Stop Making Sense is a brilliant film in and of itself. One of David Byrne’s performance art projects from real life consisted of him shaving his beard on stage using beer as shaving cream, accompanied by an accordion. So the works of Lee Smith don’t seem that far-fetched. You can watch Talking Heads members Tina Weymouth (who Anita is based on) and Chris Frantz (who Mark is based on) react to this episode here. They make it seem like Lee Smith is a pretty accurate presentation of Byrne.